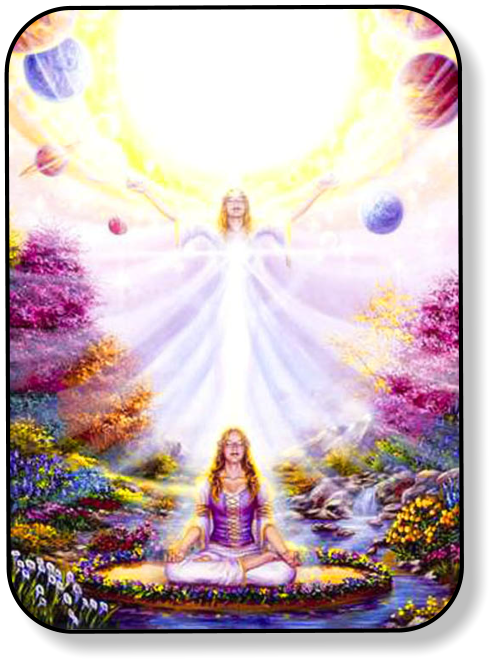 Archangel Metatron - In ALL Things Separation is the Illusion! Saturday Feb, 23rd 2013 It is important to remember that you CHOSE to incarnate into this body. Ascension within this lifetime, and truly the goal in every lifetime has always been to fully retain SOUL and SPIRIT within the vehicle/body completely, thus programming the computer/brain within. In accordance to the Will of SPIRIT and the Intent of the SOUL, we manifest the living incarnate experience of our “BEING” and/or ALL THAT YOU ARE, RIGHT NOW! But for some reason, the modern light worker movement teaches us to look outside of us, to create a goal outside of us, a point of reference outside of us and then to fight something that is within us? So long as you are "fighting" anything, you will only EVER create more conflict. And so all those goals you wish to achieve, so long as you believe they are outside of you, will never be achieved. And that, my dear friends is the trick you see. So many have been duped by the ruling elite! So many are missing the very purpose of BEING alive, to live, to love, to learn, to BE. "BEING" ...being the focal point here of ALL THAT IS, NOT the SOUL, or SPIRIT alone and certainly not when mistaken as something outside of you, as these things are ALL already within you, ALL part of ALL THAT YOU ARE! So many have chosen to believe these things are outside of you and in turn have actively chosen to cut off from some of the greatest aspects of their BEING, creating separation where it does not exist. "Separation" is the illusion -In all things, separation is the illusion. In Humility, that veil is lifted through asking and seeking within. And in asking, we are Graced with Absolute Truth and Abundance. If only.. if only we were taught.. if only we were teaching one another to look within, we would discover that ALL those Truths, no matter the analogy or the metaphors used, ALL THAT IS, is known within us, where all KNOWING and all FEELING comes from. The difference is that it is NOT outside of us you see, that is the trick! It is WITHIN us. It is part of us. IT IS US! It is our BEING! I say this as through personal living experience in my learned lessons remaining humble before ALL THAT IS in truly discovering that Truth within my own BEING. And to incorporate, or to embody ALL (The KNOWING)THAT IS and ALL (THE FEELING)THAT WE ARE within our BEING is the very nature of a Cosmic BEING. It is the point of it all, the intent we carried within our SOUL before we ever incarnated into these vehicles that are our bodies in order to Drive them -in order to BE! It is NOT only about SPIRIT. It is not only about the SOUL. It is most certainly about "THE DRIVE" -1st about BEING and then about ALL THAT IS. And again, I can assure you as that through focusing WITHIN YOUR BEING, you can truly become your SOUL's Intent -you can truly embody the Divine Will of SPIRIT -you can truly BE.. ALL THAT YOU ARE. We were born consciously aware of ALL THAT WE ARE, fully embodying SOUL and SPIRIT within as a Cosmic BEING, but where did that “Living Trinity” go? Did we separate from SPIRIT -from our SOULS? Or perhaps, we just forgot it has been there all along due to our 1st few years here within this coarsely vibrational environment? Let me just suggest that what if.. What if we ALL, each and every one of us, took responsibility for our own WISDOM? Not knowledge you see, as anyone can memorize a bit of information contained in any literature or educational context, but what if.. What if we ALL, each and every one of us, felt the obligation and inspiration to prove that knowledge as through personal experience and practical use within each our own beings to obtain True Wisdom? Perhaps there would no longer be any sort of conflict or separation in the world’s perception, as each and every one of us would achieve that same Ascended Wisdom and Self-Mastery as each our Brothers and Sisters had before us.. Just perhaps ALL of us, might share the very same Truth within, that ONE TRUTH, unbound by Space and Time found across the Rainbow Bridge. What if.. The idea that we are fighting something within ourselves is also a nasty trick. Most people still are not ready for this information and will attack it allowing that programming we've been taught since birth to trigger an emotional conflict within them. These are very old false teachings that were (re)written yet again 2000 years ago, twisting the teachings of that time in order to create conflict and separation where in Nature, there just is none. Their goal has always been to trick us into looking outside of ourselves for answers, to crucify those who're looking within as well as creating the idea of some evil piece within our incarnate BEING that must be destroyed or removed from us by labeling it "the ego" and ultimately creating a false sense of separation between Soul, Spirit and the body as well as creating a false sense of conflict within the Being. "The ego" part of your BEING is not some evil thing within you. “The ego” is only a culmination of the those (E)Motional signals being sent from your SOUL, as through the Sub-Conscious as a thought adjuster and manifests within your ethereal body, representing your true FEELINGS that may or may not be in conflict with any programmed beliefs within the computer/brain, all resulting in impulsive responses to whatever information is being presented. But I can assure you, my friends, "the ego" is NOT evil. It is only misunderstood. And so what does the ruling elite do with misunderstood information? They exploit it and twist it into a means of creating Fear due to those unknowns. And what better way to invoke fear-based thinking within Humanity than to create something within them that they will in turn, fight against and ultimately hate about themselves?! When has fighting anything ever manifested anything other than more conflict? Just imagine for a moment.. And ask.. What if I loved my "ego"? What if I embraced ALL THAT I AM? What if..? Perhaps those impulsive (E)Motional reactions would not be based on fear and hate? Perhaps those impulses would rather be based on BEING, a living incarnate expression of SPIRIT, fully embodying ALL THAT YOU ARE? Instead of REACTING impulsively to everything we perceive, perhaps we would all ACT rather specifically in accordance to our True FEELINGS -not to our (E)Motions? Rather than REACTING to things outside of ourselves, perhaps we would all ACT as living representations of that KNOWING of SPIRIT? Perhaps, if we would seek within, we would see that those (E)Motions are simply Energy of our SOUL's True Feelings put into Motion? Perhaps we would see that those programmed beliefs are part of us and it is fully within our Divine FREE Will to reprogram them however and whenever we choose? Perhaps then that so-called "ego" would BE perceived as a beautiful piece of ALL THAT WE ARE and NOT something evil within us that must be destroyed? You ARE Divine Perfection, ever-expanding and infinitely powerful and the pathway to ALL that you seek(The Kingdom of Heaven) lays within you -NOT anywhere outside of you. Perhaps now you, the reader may stop fighting a battle within you and begin embracing ALL THAT YOU ARE with unconditional loving acceptance? I say "the reader" to help those of you that will act impulsively in reflection to these words so that you, the reader do not think I am attacking you personally and so that you might be reminded that these words are just words and that any conflict you, the reader might discover within you, is in fact precisely that; within you. When there are uneasy and/or unpleasant REACTIONS to information perceived, it is due to our SOUL sending us our True FEELINGS in FORM or Energy in Motion. These (E)Motions are only signals and/or warnings to inform us that we have something to sort out within us as part of our current belief system that is in conflict with our True Knowing of the Sacred Mind and our True Feeling of our Sacred Heart. Looking WITHIN is always the key to solving ANY conflict! The idea that there is something outside of you that causes your frustrations or anger is an absolute farce! And I can prove this. Take for instance, someone is overjoyed to share their truth to another person, but the person hearing this information is enraged by hearing that information. How is it that the one speaking with all the joy of their being could be the cause of that anger when they are fully in their own joy? Perhaps that conflict is actually within the one that is angered by the information, and NOT the one that is happy about sharing it? Take for instance, I am overjoyed to share this information. These words I share come from my Higher Self Wisdom as proven through my own experience and understanding in how energy resonates vibrationally between beings rather than simply reciting some bit of knowledge that I read somewhere. I already feel a handful of my brothers and sisters reading this future-tense with a conflicted response, but I am guided to share this information, so I do. I AM gladly shining THAT light THAT I AM in this way, you see. When we speak or interact with one another, we act as energetic mirrors to one another. In this way, our words indeed share information, but along with that information are the energetic vibrations behind the words. It is the energy being reflected upon us that we feel within our beings. And if that energy is in conflict with any programmed belief systems that we have stored in our computer/brains, well there is the conflict. And so is there the (E)Motional response of your Higher Self letting you know there is something out of sync within you. People lash out at this Truth because it has been twisted for so long in the wrong direction and then embedded into even our DNA memory and the Akashic history of so many past incarnate lives living this false truth. Is it nuisance, or is it New Sense?! What if.. What if the reader could humble them self long enough to hear these words.. to give pause within the heart.. to truly BE.. to allow an openness and acceptance of their SOUL and SPIRIT embodied within their BEING.. perhaps then the reader can consider that there is really nothing outside of you that will grant you abundance, nothing outside of you that will grace you with KNOWING and nothing outside of you that will prove to you that FEELING ALL THAT YOU ARE is already there within you.. nothing other than the act of BEING, nothing more than seeking within for ALL THAT IS and nothing more than trusting your own intuition.This is what Jesus really said, my friends. But do not just take it from me, one who has succeeded in the realization of fully embodying SOUL and SPIRIT within their BEING, and certainly don't take it from any other source outside of you, my friends. Instead set down those books, set down the mouse, set down the smart phones and truly begin to seek within YOU(r Heart)! Only then can you prove this to yourselves.. Only then can you truly know Truth for yourselves. Only then can you truly know Christ -only then can you truly know thyself. Most people understand how the ruling elite had infiltrated and (re)written all those teachings and created all those individual religions we have in conflict of one another today, but what so many still refuse to see is that this same ruling elite, that vast cabal of corruption has infiltrated the modern light worker movement all the same. Step away from all that is outside of you and seek within as Absolute Truth and Abundance are as free as the air you breathe. All the answers to the Cosmos lay within your Heart! Are you really buying these false teachings of the ruling elite? Do you really feel that you were born imperfect with something evil that must be removed or destroyed within you? Do you really think that ALL the answers you seek are somewhere outside of you? Do you really think that the vessel, or the body is not of the greatest significance? Do you really think the soul does not need to learn? Do you really feel that the soul is separate from the body? Why... Oh, why would you choose to believe that Soul and Spirit are separate from the body?! I am stating these questions rhetorically in order to suggest that you, the reader, look within to prove such things for yourself -look within to know thyself. That is self-empowerment, my friends.. NOT anything or anywhere outside of you. SOUL AND SPIRIT ARE THE BODY! It is the greatest fear of the ruling elite that you do this; looking within! And the greatest gift of the soul IS to BE incarnate. We are indeed born perfect, fully embodying Divine Will of SPIRIT and our SOUL's Intent, but we are ridiculed for speaking to our "imaginary" friends when in Truth, they are simply "imagery" that is beyond our parent's viewable spectrum of perception -We are taught it is crazy to hear voices when telepathy is perfectly natural -We are told that "faeries" and other such beings are nothing more than "tales" when in Truth they are such an important part of our natural world -We are told that magic is "fantasy" when in Truth, it is indeed so very "fantastic" -We are taught through living example as through our own parents, our peers and the school system that anyone who speaks or even thinks of such things will be emotionally crucified. It was not so many years ago at all when people were so offended by anyone speaking up about their "Spiritual Nature" -so conflicted within their own beings that anyone who would challenge those false belief systems would often be put to the most horrifying deaths in all our human history. And what IS "History" anyways, but the story, the ruling elite, decided to write. It is nothing more than "His Story" at all, of which includes both our religious history as well as a steady manipulation into our current spiritual belief systems based on their written version of our Chakra System. We, the Ground Crew, the Way-Showers, the Light-Bringers have a much longer history of lifetimes of which our DNA memory and Akashic History also contains many lifetimes, both on other worlds and here with Gaia before the rebellion began, fully embodying that love and light within our bodies -within our incarnate BEING and THAT is what we must remember, my friends. We must remember those many lifetimes in which we fully embodied SOUL and SPIRIT in order to awaken ourselves thus planting those seeds within ALL Humanity Alike. That is why we came here my friends. Reclaim that Unconditional Love for ALL THAT YOU ARE and ALL THAT IS! "Unconditional Love" does not exist if you are actively creating conflicts within your being. If you are insistent on labeling "the ego" within your being, please stop fighting it as this is NOT Unconditional Love for ALL THAT YOU ARE. Instead, love those (E)Motional reactions with loving acceptance, embrace them and transmute those programmed false beliefs systems back into that purity you were born with, once again unveiling ALL THAT YOU ARE -All that you always have been! 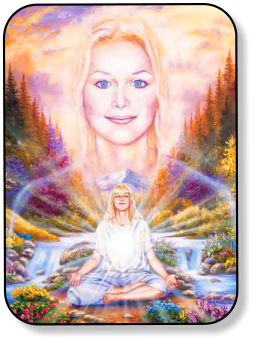 Seek within the Sacred Heart for what it is that Energy in Motion is trying to show you about your SOUL's True Feelings and then you will know your own Higher (SOUL)Self. “Unconditional Love” does not exist when we are actively creating separation anywhere within ALL THAT IS as we are all, each and every one of us individual expressions of SPIRIT just as SPIRIT is fully within each of us as Prime Creator/Source/SPIRIT/God -We ARE ALL THAT IS! Let go of those ideas of “separation” and instead, seek within your Sacred Mind for that Wisdom of SPIRIT that will clear out and bring peace to any conflicting programming within the computer/brain in order to fully embrace and know your own Highest (GOD)Self. And most importantly, my lovely and beautiful friends, balance these two things; KNOWING the Divine Will of SPIRIT with the Deliberate Intent of your SOUL's true FEELINGS and you will manifest that “Living Trinity” within your BEING. “BE” ALL THAT YOU ARE as proven through the Wisdom of your own experiences and the Rainbow Bridge will appear before you! By that time, you will likely find that you are already standing on it. ;) ♥ Jacob Please consider “Sharing” this page with your friends and family. Or you can “Like” Divine Willpower at the top of the page.